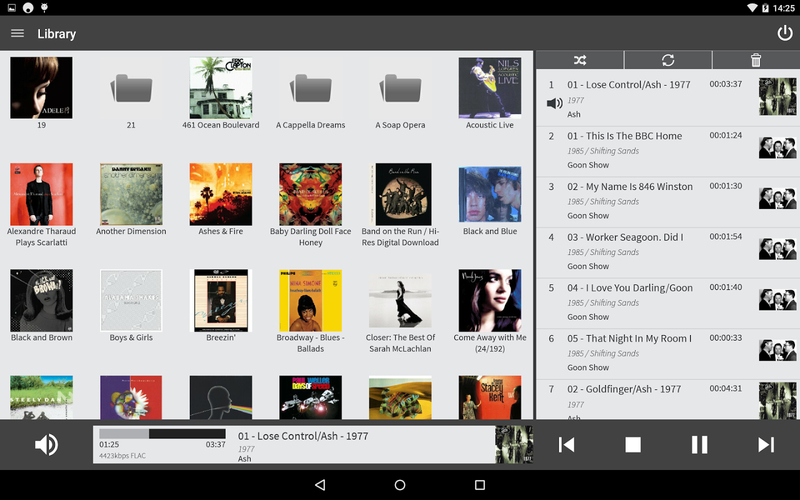 The network player CX N supports all popular codecs (ALAC, WAV, FLAC, AIFF, WMA, MP3, AAC, HE AAC, AAC +, OGG Vorbis) and processed high-resolution files up to 24 bit / 192 KHz. 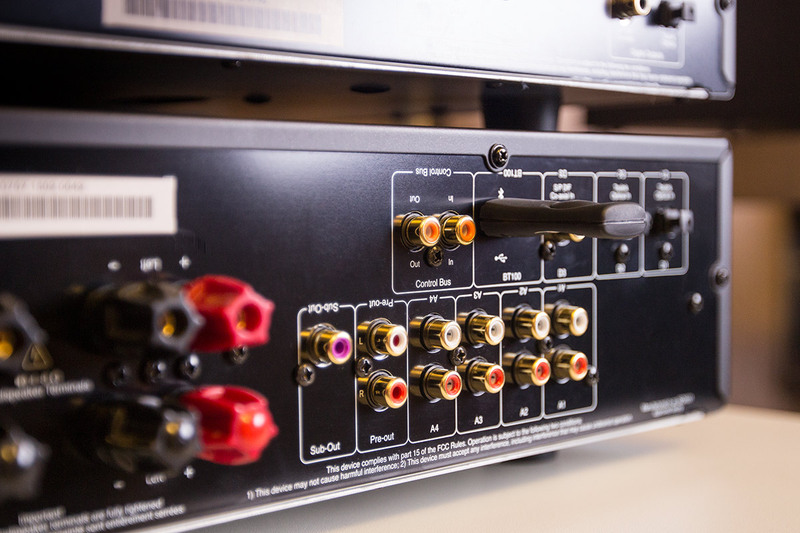 The passing of the signal is then either analog way – is then converted with two integrated Wolfson WM8740 Digital to Analog Converters – or digitally via electrical S / PDIF or Toslink optical interface. On the input side both digital interfaces are also available, in addition to music data can be two USB inputs of type A, an asynchronous USB input audio feed of the type B and an Ethernet jack. A wireless module has not been integrated into the device itself, but can be easily retrofitted using an optional Wi-Fi dongle. Especially for this purpose, a further USB port was specially reserved. Once a network connection is established, there is one hand on the universal network protocol UPnP and the proprietary service Apple AirPlay access to every imaginable source devices from smart phones to laptops to NAS, on the other hand can Spotify and countless web radios are streamed directly to the CN X. Bluetooth is also supported, including the aptX codec. If compatibility is given with aptX also at the transmitting device, music can be transferred via Bluetooth roughly CD-quality. Prerequisite here is, however, very similar to the wireless solution, the presence of the separately sold Bluetooth modules BT-100. With so many network capabilities may of course a comprehensive app–control – in this case with the “Cambridge Connect” app for iOS and Android – not missing. Alternatively, there are also controls on the device itself and an included remote control, which also like the CD player and the two C CX CX A amplifiers controls beside the CX N.
A total of Cambridge CX N leaves a very positive impression and complete, given the wealth of features and connectivity options. 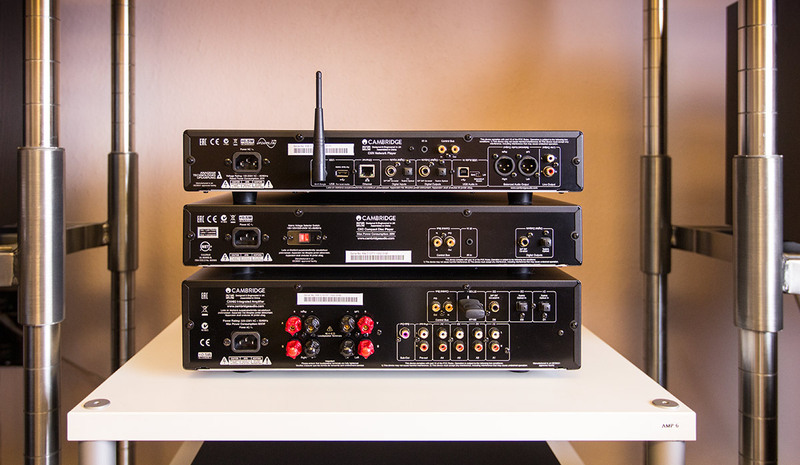 Whether in combination with other devices of Cambridge CX series, or even within an existing, foreign setups: The CN X relies on a well-equipped, digital control room is a very good figure and can be taken from us immediately inspected. In the Cambridge CX C is reduced to the absolutely essential CD player. The proven S3 servo drive is designed exclusively for the reading of CDs and does its job with the utmost precision. The extremely carefully prepared data (good error correction, hardly any jitter) are converted not internally but via S / PDIF or Toslink optical interface to an external DAC or a combined DAC–amplifier solution – an obvious way, for example CX A60 or CX A80 – forwarded. About the Cambridge CX C there is not too much to say. The unit does just one thing, but this really well and can also be heard with us. 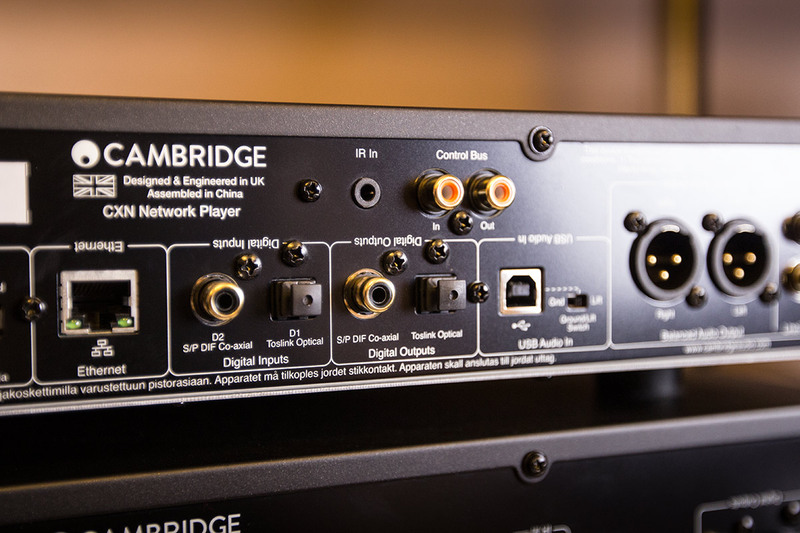 To enhance the leaked over the network or by CD music, Cambridge Audio offers within the CX series of the aforementioned two alternatives. While the larger CX A80 a fully symmetrical dual mono construction was donated to prevent interference between left and right channels more effectively, the engineers dispensed with the CX A60 in this construction method, so that consequently lasts without balanced XLR Book. Asynchronous USB audio input (Type B) of CX A80 you look at the smaller model is also vain, otherwise same the connection panels: be fed signals digitally via Toslink (2x), S / PDIF or via Bluetooth – assuming the optional Bluetooth receiver BT-100 is installed on the dedicated USB port. On the output side to wait two models with four unbalanced outputs (RCA), Pre Out (RCA), a Sub Out (RCA) and the obligatory terminals for speaker cables on. Another common feature of CX-60 and CX A80 are already known from the CX N Wolfson WM8740 digital to analog converters, both devices differ in terms of the services amplifier power turn: The CX A60 delivers 2×60 watts into 8 ohms and 2×90 watts into 4 ohms , the CX A80 2×80 watts into 8 ohms or 2×120 watts into 4 ohms. 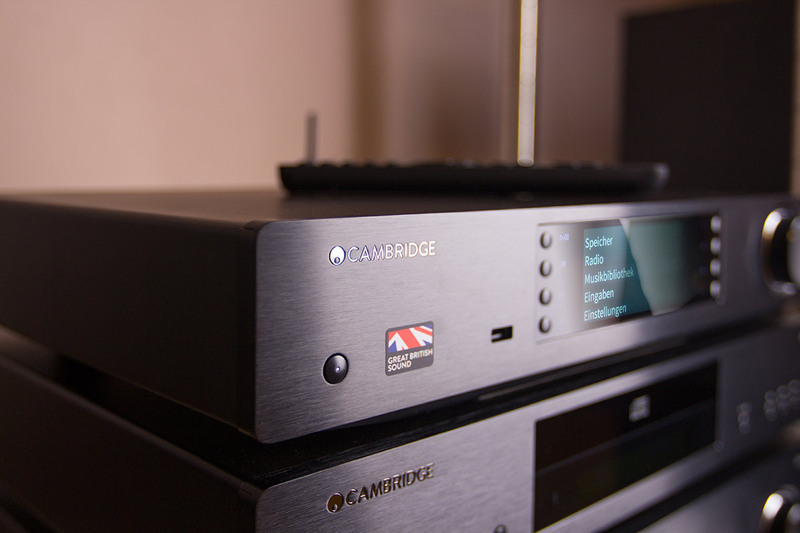 The Cambridge CX A60 provides for many applications already enough power and scores with rich, dynamic sound. We are curious how the CX A80 makes a direct comparison. 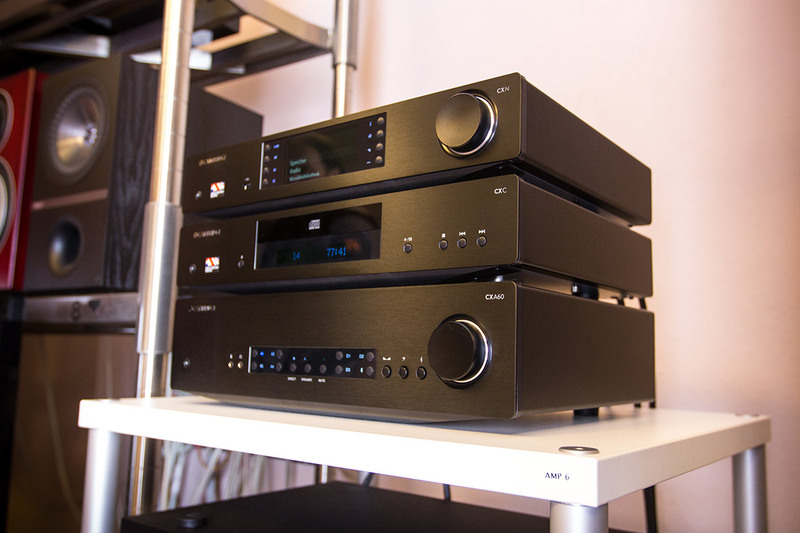 Last but not least are the CX series to two AV Reiceiver, both of which are designed for 7.2-channel playback. The bigger CX R200 offers a total of more generous connectivity options – separate bi-amping terminal, separate Zone 2 Terminal, Zone 2 Pre Out, more digital inputs, etc. 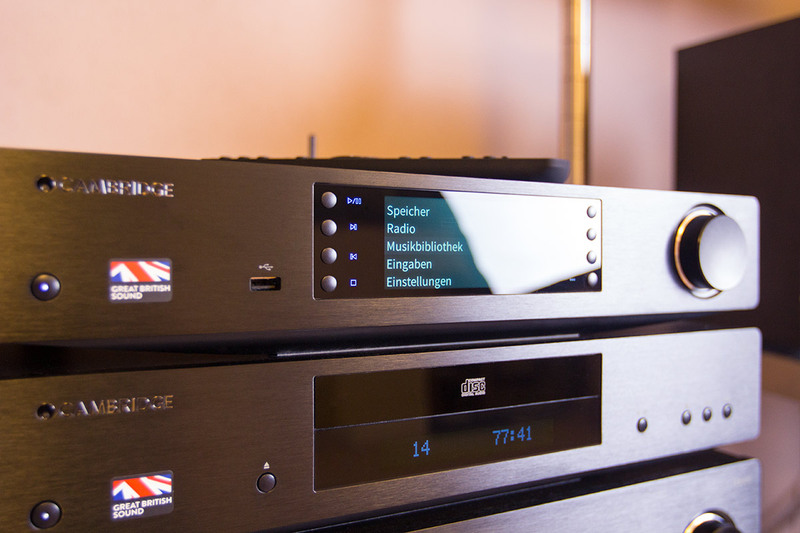 – and is ready of course to the greater power reserves, while the little brother CX R120 both in terms the connection options as well in terms of amplifier power somewhat slimmed comes along. Highlight a particularly positive is the comprehensive support of 4K HDCP 2.2, the both models includes in each case all HDMI inputs and outputs. 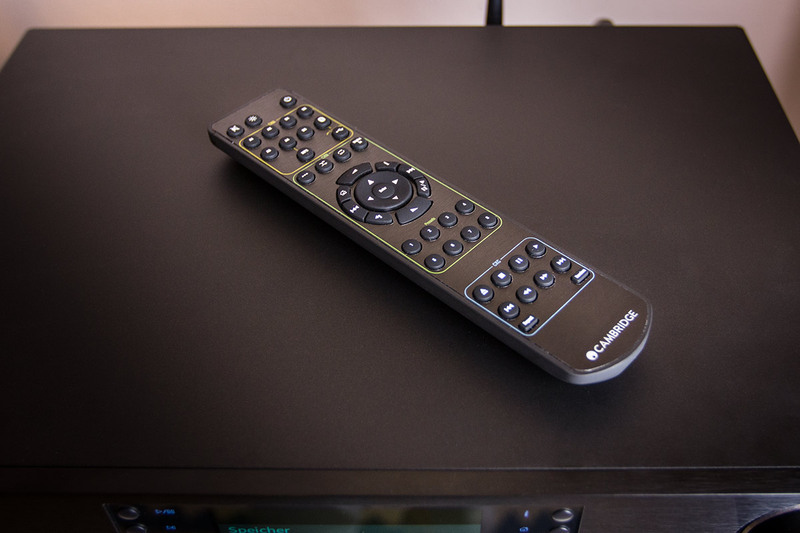 Also exemplary is the far-reaching network integration at CX R120 and CX R200, so be reflected not only many of the streaming capabilities of the CX N (USB, UPnP, Spotify, Web radio, Bluetooth) even when the AV receivers, but also receiver-specific functions (source selection, starting from the standby mode, update installations, …) can be easily controlled with the Cambridge Connect app. A small downer like for one or the other, the lack of support the new 3D sound formats Dolby Atmos, Auro 3D and DTS: his X. But apart from that all important codecs on board and high-resolution audio in PCM or DSD format both units process without difficulty. Still, the new AV receivers from Cambridge are not available. 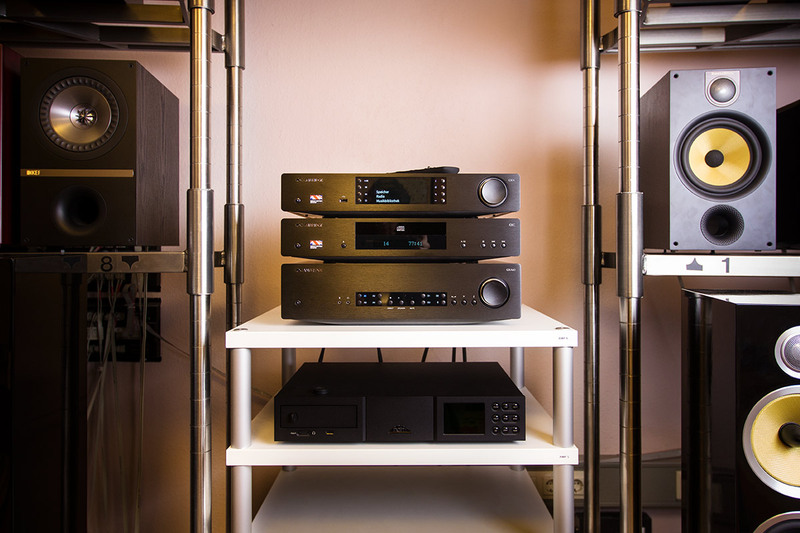 If the positive impression of the HiFi components continues with the two home theatre specialists, the market will soon be enriched by two quite interesting multi-channel amplifier.